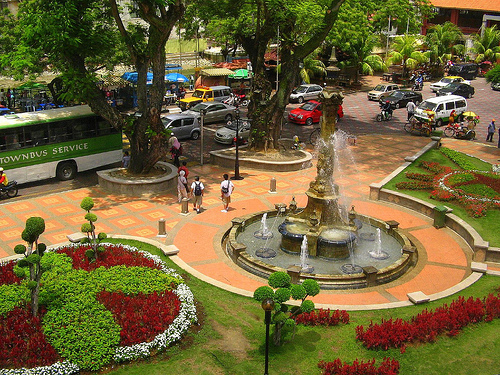 The Queen Victoria Fountain is probably one of the last traces of the British colonial era in Malaysia and it symbolizes the glorious days of the British colonization in Malaysia in the yesteryears. 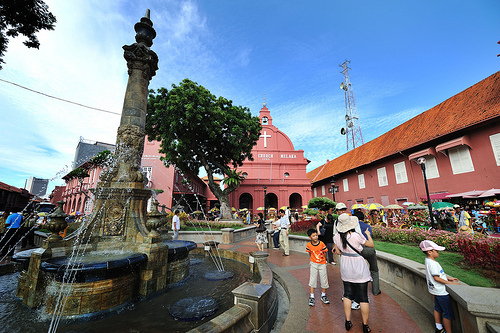 Close by are some other famous local attractions in Malacca. 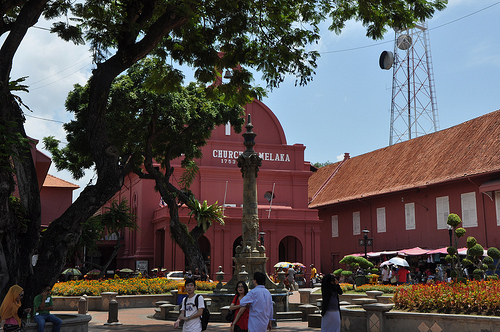 On your way up the St Paul's Hill are the Architecture Museum Malacca and the Stamp Museum Malacca. The Cheng Ho Culture Museum is also nearby. Also, do not miss a chance to try the famous chicken rice ball at the Chung Hwa Chicken Rice Ball Shop which is at the beginning of the Jonker Street opposite the fountain. The chicken rice ball gets sold out pretty fast so be sure to get there early. There are other foods at the Jonker Street which you can try. 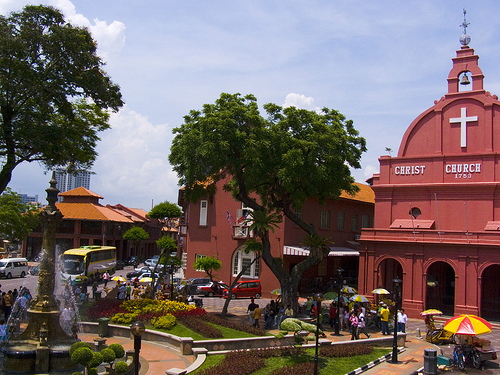 Jonker Street is a good place to try Nyonya food and also the Nyonya museum. A good place to eat Nyonya food is at Nancy's kitchen which is also at Jonker Street. The Nyonya Museum is a good place to learn about the Peranakan people. 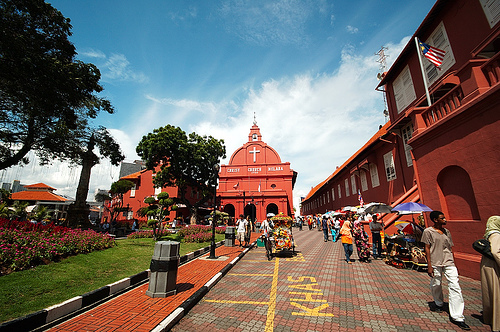 The museum is actually an original home of the peranakans but has been turned into a museum. For RM15 per person, you will be guided around the house and given information about the rich culture of the peranakans. Tours in the museum are limited each day. Do get there at the scheduled time to avoid disappointment. With so many things to do and food to eat, why are you in a hurry to go back? 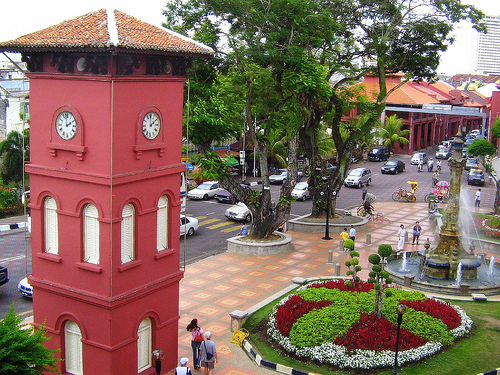 Stay over at any of the hotels in Malacca to give all these places a visit. There really isn't much choice when it comes to transportation in Malacca. You can either drive here or take a cab. This place is a well-known place, so it should not be hard to find.